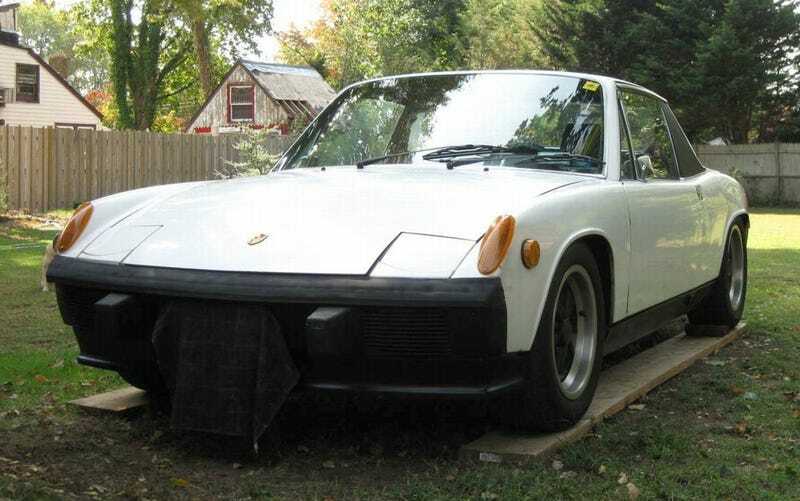 The seller of today’s Nice Price or Crack Pipe 914 says it was his first Porsche, and that it could be yours too. Let’s see if its Wankel engine and overall condition will make its price the first order of business. What do you think is a more powerful emotion, love or hate? The seller of yesterday’s custom 1992 VW Jetta TDI loved his wife so much that he was willing to sell not just that car but another to help them get through a rough patch financially. Unfortunately, 77% of you hated the price he set to do so. Regardless, I think 100% of us wish him and his wife well, and all hope for her speedy recovery. Modern medical research has changed the way we look at many diseases, vastly increasing the likelihood of survival from maladies that were once thought incurable. Cars too have become phenomenally better by almost every metric—safer, more efficient, more capable and feature rich. But with that modernity comes a price, and that price is complexity and its related costs. That’s why we still like old cars, even though they may not have the latest bluetooth auto-dipping rearview mirror or LED-illuminated dash-mounted deep fryer. What appeals is an honest to goodness simplicity to them that means it’s generally easy to fix what goes wrong and just as simple to change what you don’t like. Take for example this 1974 Porsche 914, a car that while coming from a maker known for pushing the envelope when it comes to automotive engineering is still one of the less complex platforms around. Featuring a remarkably stout open-roof body and mid-engine drivetrain, when set up right these cars are amazingly adept and rewarding to drive. The four-cylinder cars were however, never all that quick. Enter here a Mazda 13b rotary engine with a claimed 130-bhp and maybe that last piece of the puzzle is finally in place. Now, you may be asking yourself, but isn’t the 13b water-cooled? How does that work in an air-cooled Porsche? Easy-peasey. The Wankel sits in the middle while up front, hidden by a false floor in the frunk (I hate that word, but what are you going to do?) lies a radiator and electric fan. How does it all work and where does the air go? Hell if I know. Admittedly, it all looks a little funky. The rest of the car is far less so. The seller describes the body as 8 out of 10 and with very little rust. You can check the hell hole in the pics—that’s the nearly inaccessible part of the frame below the battery tray—to see that it has not been rendered Swiss cheesy. That’s an important bit of news. The rest of the car looks reasonably straight and complete. Inside, it’s also claimed to be an 8 out of 10 and features the somewhat rare center stack below the spartan dash. Seats look okay and it’s overall very clean. On the downside, the door cards have been hacked up and now feature what look to be either huge speakers or holes through which you might chase white rabbits with punctuality problems. Underneath the car you’ll find 911 hubs allowing for five-lug Fuchs and bigger brakes. The gearbox is a Porsche five-speed, which is another desirable feature this car offers. That’s mated to the Mazda mill via a KEP adapter plate. The seller says this was his first Porsche. They say you’ll always remember your first and we’ll now have to decide if his selling of the car should be memorable as well. The asking price for this targa-topped Wankel wonder is $6,000. Now, Porsche prices seem to be cooling a bit after having leapt up for the past five years or so making this perhaps the right time to buy one before they start climbing again. At its price and condition, could this be a good choice? Long Island NY Craigslist, or go here if the ad disappears. For $14,000, Is This 1992 VW Jetta TDI A Great Car And Not Just A Great Cause?